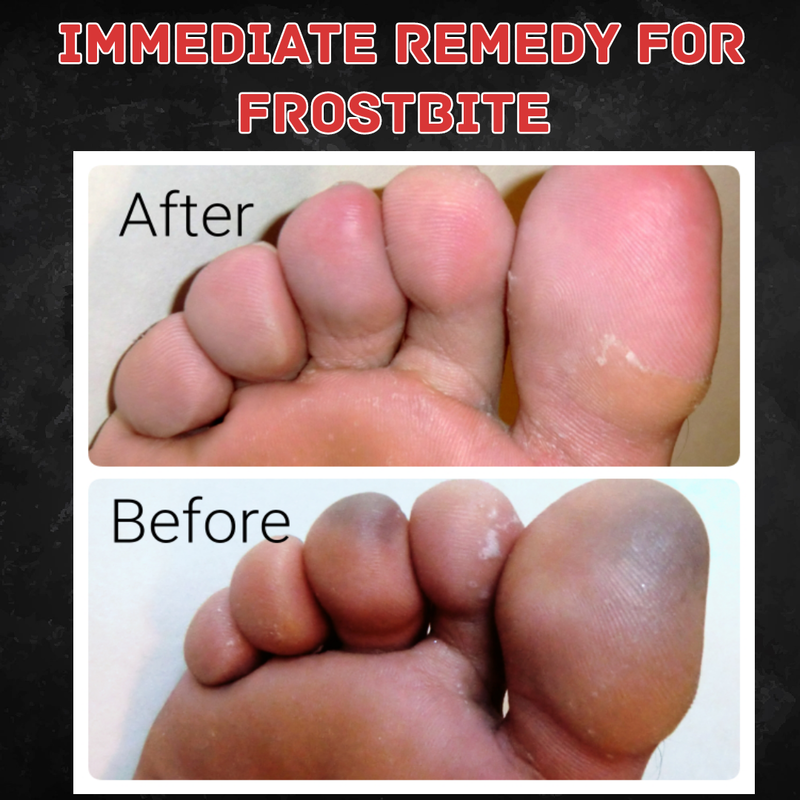 ●Remove wet clothes as soon as you are home and do not walk on frostbitten toes as friction could damage the tissue. ●Warm frostbitten area by soaking hands or feet in warm water — 99 to 108 F (37 to 42 C) — for 15 to 30 minutes. If a thermometer isn't available, test the water by placing an uninjured hand or elbow in it — it should feel very warm, not hot. ●Do not rewarm frostbitten skin with direct heat, such as a stove, heat lamp, fireplace or heating pad as it can cause burns. ●In case of freezing up thawed area again, just wrap them and do not refreeze. ●If the skin turns red and you feel tingling and burning as it warms, normal blood flow is returning. ●Seek emergency medical attention if the numbness or pain remains during warming or if blisters develop.